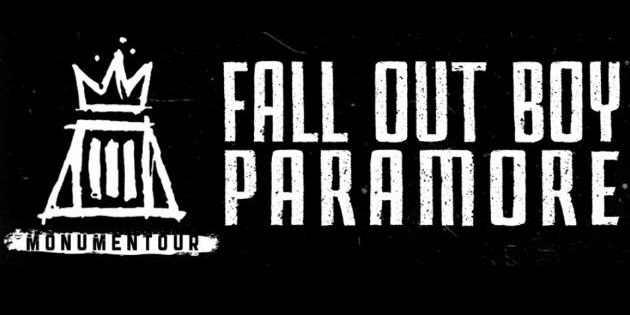 Supergroups Fall Out Boy and Paramore announced today they will hit the road for the must-see concert event of summer. Aptly titled the Monumentour, the bands will showcase their trademark brand of fiery, hard-charging rock music across the U.S. to 30 plus cities in the summer’s best venues. With a string of Top 10 singles, platinum albums and countless sold out shows around the globe, both bands have proven that they deliver fans the absolute best live concert experience around. Shows will feature astonishing stage set-ups and well-known setlists from both groups. Monumentour, presented by Live Nation, will kick off on June 15 at the Xfinity Theatre in Hartford, CTbefore traveling through cities such as Chicago, Nashville, Toronto, Atlanta, Dallas, Denver, Phoenix andSt. Louis. The tour will feature alternative rock band New Politics as opener for all dates. **All dates and venues below subject to change.